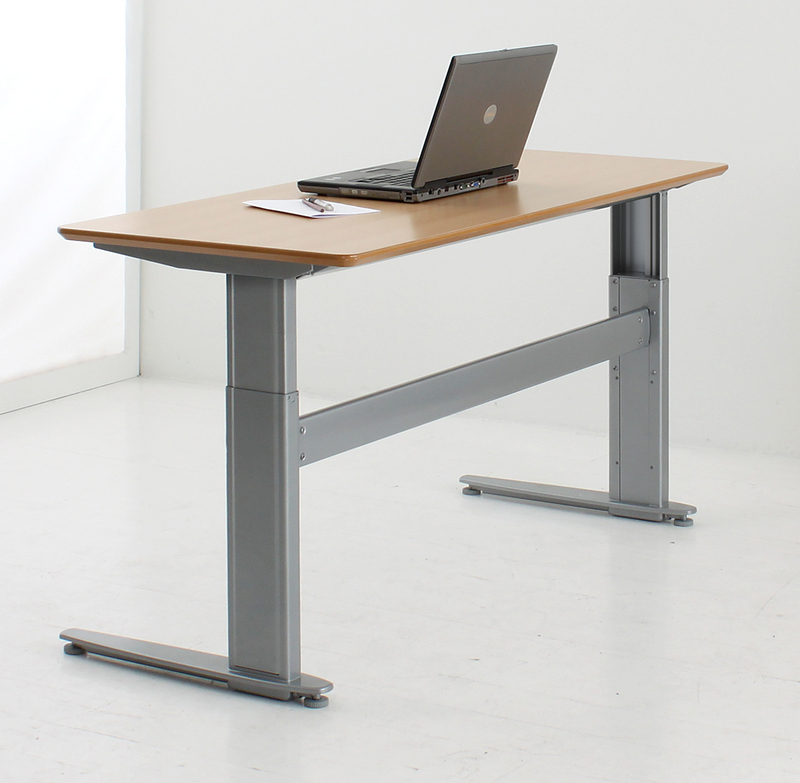 Multiple Working Postures - The 501-32 electric height-adjustable frames enable users to sit, lean or stand during their daily work. Transitioning between these positions encourages greater activity in the work place, bringing associated health benefits as workers are able to move away from a completely sedentary environment. 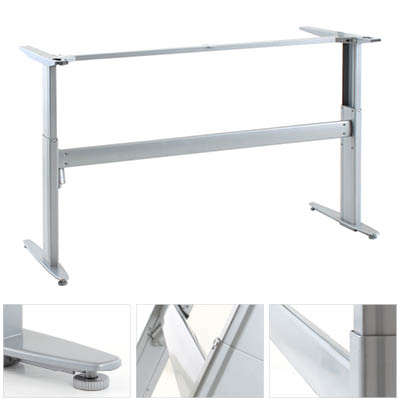 Infinitely Adjustable, Effortless Height Adjustment - The base provides infinite adjustment of height from 26" to 46", allowing users to quickly and precisely adjust the worksurface to the optimal height for the desired workstation configuration (sitting, standing, or anything in-between). 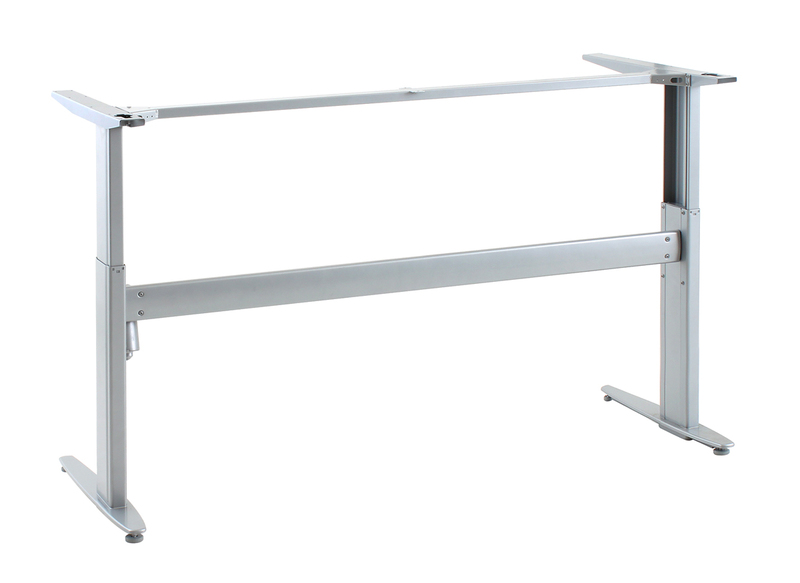 Accommodates Nearly All Users - The range of adjustment is sufficient to accommodate nearly all individuals, sitting or standing, up to 6' 4". Dual Safety Switch: There are two switches (one activation switch and one toggle switch) that must be depressed simultaneously to adjust the height. This design ensures that any change in height requires a conscious action by the operator. Accidental triggering of the height adjustment mechanism cannot occur if only one switch is activated. Triple Nesting Columns: The nested telescoping legs provide over 20" of height adjustment with minimal effect on stability even when at maximum height. Adjustable Feet: The base includes feet that can be adjusted to ensure the base is level and to compensate for imperfections of the floor. Switch! Set a notification on your computer or phone to remind you to switch between sitting and standing on a regular basis. Doing so will help you develop the habit of changing position throughout the day. Be sure to consider your height as you position your desk. Be aware that the height of your heels and even the time of day will affect your standing height. (Most people will be a 2-3 cm shorter at the end of a day than at the start) Ensure that you adjust the desk accordingly to achieve a neutral posture. Consider an anti-fatigue mat. 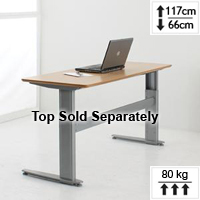 Many users find that standing is actually tiring, especially so with the hard surfaced floors on which most people work. The short nap carpet that is common in many office or retail environments does little to mitigate the rigidity of the concrete it usually covers. A good anti-fatigue mat can leave you much less fatigued at the end of the day as it encourages flexing of the feet and lower leg muscles. If you wish to regularly switch between standing and sitting you will want a mat which can be easily moved when transitioning between the two positions.